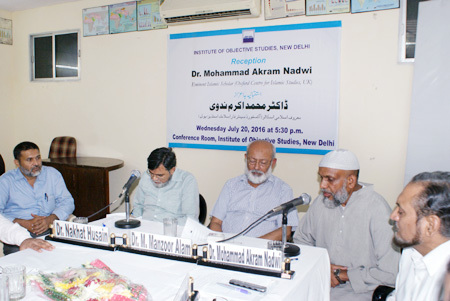 Presenting the correct interpretation of the Quran in the light of a comparative study of Imam Ibne Taimiya and Allama Farahi at the Committee Room of the IOS on July 21, 2016, the Islamic scholar and a research fellow of the Oxford Centre for Islamic Studies, Dr Md. 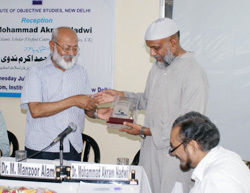 Akram Nadwi said that the urge to benefit from the Quran should be strong. Besides, he said, it was necessary to understand how the one to whom the Quran was revealed as well as we understood it. He clarified that while Ibne Taimiya considered the Quran as the word of Allah, Allama Farahi treated it as a book. 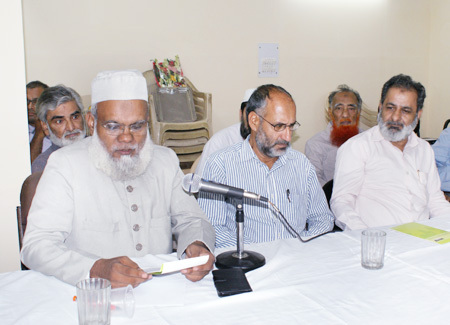 Secretary, Publishing Academy of Jamat-e-Islami, Dr. Razi Islam Nadwi opined that the better method to write a commentary on the Quran was to do it in the light of its commands. Then the guidance must be sought from life of the Prophet (PBUH). 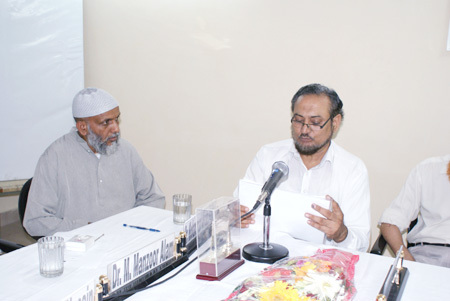 He said that Imam Ibne Taimiya’s Tafseer-o-Quran (exegesis of the Quran) has been published in 36 volumes. Three volumes are devoted exclusively to the methodology of exegesis. The organizational principle of the Quran presented by Allama Farahi is unique and distinctive. Every ayah is related to other ayahs and every surah is related to other surahs. 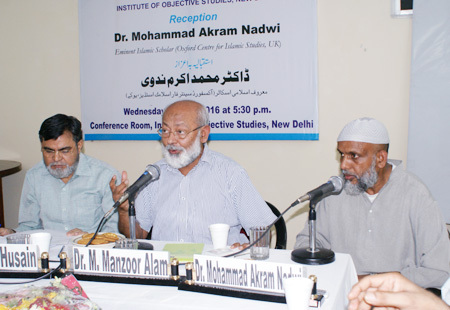 In his presidential remarks, Chairman of the IOS, Dr. Mohammad Manzoor Alam remarked that divergence of opinion in the field of knowledge was bound to crop up. In the absence of the difference of opinion, it was difficult to keep track of the times and its challenges. The Quran commanded the faithful to come to it with the problems as it offered complete solutions. He held that the difference of opinion was obvious and if this was not so, it would do injustice to the Quran. He said that the IOS was considering ways how to acquaint people with the Quran. He informed that the IOS had formed the Quran and Science Forum with a view to popularising the teachings among the young minds. 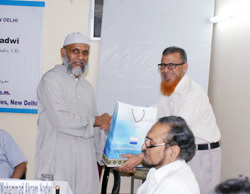 Earlier, Maulana Khalid Nadwi introduced the honoured guest as also the subject. 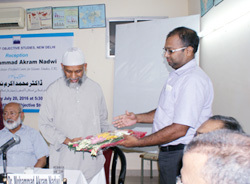 Dr. Nakhat Hussain Nadwi conducted the proceedings.